In celebration of this year’s upcoming Mother’s Day, SuccessStory will be featuring posts throughout this week related to celebrating the power of successful working mothers everywhere. Today, we take at look back at one of the music industry's most innovative musicians whose talent for bridging the mainstream with the avant-garde knows no boundaries in her tireless quest for genre-pushing compositions. Get to know more about Björk and watch this space for more of our Mother’s Day 2017 coverage. Musicians possessing true innovation are a rarity in today’s world that it becomes a bit boring for the cultured listener to hear music that sounds manufactured and similar to everything that’s playing on the radio. But thanks to the marvelous existence of vanguard artists like Björk, the music industry still has a fierce warrior to explore and conquer the trails that no other musician would ever dare to tread. Famously known as the biggest and most prolific musical export from Iceland, Björk has emerged as a fearless sonic experimentalist whose incredible body of work from her eclectic career bravely defies basic categorization. She is considered by her peers and professional music critics and journalists as a persistently progressive creative force who frequently challenges the very notion of what great music should sound like without being beholden to the machinations of generating massive album and single sales. Björk’s distinctively robust soprano vocal range also forms a huge part of her artistic appeal to both fans and fellow artists in the industry. Her endlessly evolving musical styles and forward-thinking visual aesthetics have been greatly influential to the world of arts and entertainment. It’s no surprise that Björk is one of the few remaining female artists living today who has the uncanny ability to always be several steps ahead when it comes to producing music that bridges the gap between the mainstream and avant-garde. Born as Björk Guðmundsdóttir on November 21, 1965 in Iceland’s capital city of Reykjavik, the mononymously known artist established her musical roots at a young age when she learned to play the flute and classical piano while attending school. She was exposed to a wide variety of musical genres, until she eventually joined the punk rock movement that was making an impact in her home country during the 1980s. 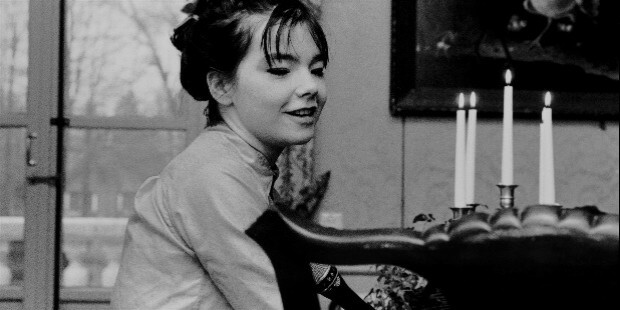 Björk joined several bands and ultimately ended up as the frontwoman for The Sugarcubes, where she would first garner international attention for her idiosyncratic yet powerful voice. Despite the success of The Sugarcubes, who managed to make waves in the United States and even appearing as a musical guest on Saturday Night Live, they subsequently disbanded in 1992 and Björk decided to pursue a solo career. She moved to London and met with DJs and producers who were dominating the underground music scene. Her collaborations with the likes of Nellee Hooper and Talvin Singh resulted in her first proper solo album entitled Debut, released on July 1993. 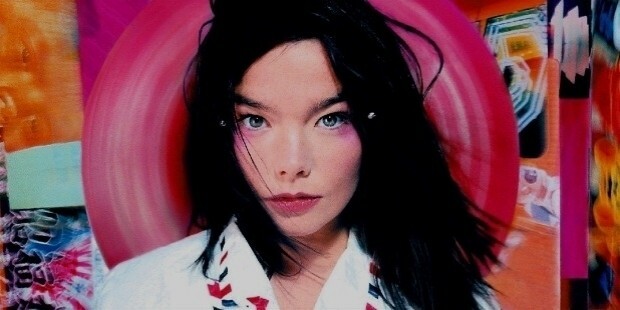 The record was praised by music critics for pushing Björk out of her punk rock roots and explored a wide mix of styles that ranged from jazz and trip-hop to electropop and house music, where it produced her breakout singles “Human Behaviour” and “Big Time Sensuality” (a still of the song's music video pictured above). Björk would follow up the success of her solo effort with the release of her sophomore album Post in June 1995. By this time, she had began to assert more creative control over her music by acting as a co-producer on the album’s songs and not just as a singer and songwriter. 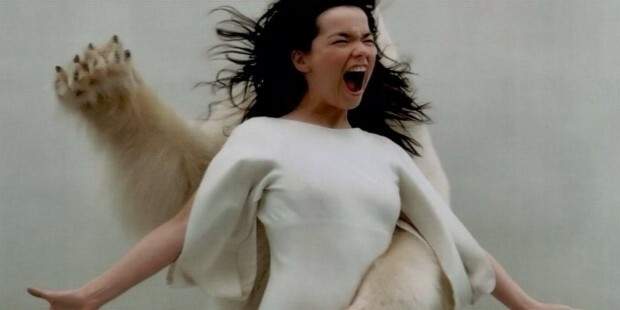 Björk would also gain further traction on her artistry by taking great advantage of the music video medium as a natural extension of her work. She collaborated with directors such as Michel Gondry and Spike Jonze to create groundbreaking videos for her singles like “Hyperballad” and “It’s Oh So Quiet” that established her creativity not just in music, but also through a visual perspective. It wasn’t until Björk’s third album, Homogenic in September 1997, that she truly cemented her status as a towering force in the industry to be reckoned with. Considered by many music critics and historians as her most seminal and important work to date, Homogenic was a truly breakthrough album whose songs fused the sounds of classical string arrangements with futuristic electronica sounds. Her intuitive approach to blending the old and the new resulted in a record that would come to define her status as an innovative artist. The Homogenic era of her career was also the period where Björk also pushed the boundaries of her videography to its absolute limits and definitively demonstrated her capacity to entrench her visual identity. This was also the time when technology was steadily improving in terms of creating seamless computer-generated visual effects, and Björk used this to her great advantage. She transformed herself into a “techno polar bear” for the video of “Hunter”; she utilized surrealism within a self-referential narrative framework for “Bachelorette”; and most memorably, she pushed love and eroticism into the future through minimalist yet feminine lesbian robots in “All Is Full Of Love” (pictured above). Björk continued to defy expectations when she was tapped by Danish auteur Lars Von Trier to be the leading protagonist in the independent drama-musical Dancer in the Dark (pictured below), released in December 2000. She pulled double-duty on the production of the film as she not only had to act in front of the cameras, but also work behind-the-scenes by writing, producing, and curating all of the original songs that would be featured in the musical. Her efforts on Dancer in the Dark were duly recognized: her acting work ended up winning the Prix D'Interprétation Féminine (Best Actress) prize at the 2000 Cannes Film Festival while one of her songs for the soundtrack, “I’ve Seen It All”, garnered nominations for Best Original Song at the 58th Golden Globe Awards and the 73rd Academy Awards. She subsequently released her fourth album Vespertine in August 2001, where she once again introduced another major evolution to her sound by introducing intimate and introverted sounds in high contrast to her previously extroverted work. In 2004, she was invited and commissioned by the International Olympic Committee to write a song which she would also perform at the Opening Ceremony of the 2004 Summer Olympic Games in Athens, Greece. Björk came up with the track called “Oceania” co-written by fellow Icelander, friend, and poet Sjón. It was one of the songs also included in her widely-acclaimed experimental acapella album, Medulla, released in August 2004. 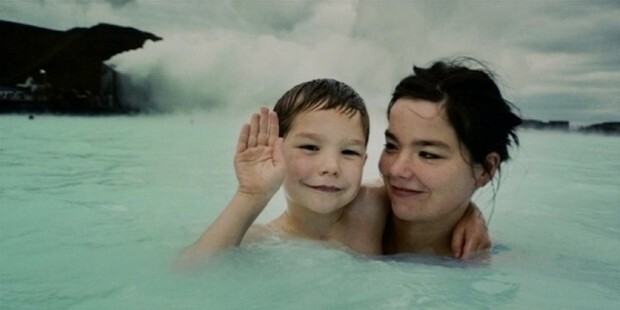 Björk is the mother of two children, eldest son Sindri Eldon Thórsson (pictured below, from former husband and fellow Sugarcubes band member, Þór Eldon) and youngest daughter Isadora Bjarkardottir Barney (from former partner and American visual artist, Matthew Barney). She is also active with several charitable causes such as donating proceeds of her album sales for relief aid in places affected by natural disasters, as well as being an environmental activist where she frequently campaigns for the preservation of Icelandic nature. Björk’s commanding presence throughout the years has been visible in many facets of the music industry, where she is cited by the press as a powerful influence for many contemporary musicians with similar eccentricities such as Lady GaGa, Florence Welch, and Sia. Outside of music, she has also made an impact for many individuals in other artistic disciplines such as Dutch photographer duo Inez van Lamsweerde and Vinoodh Matadin, British fashion designer Alexander McQueen (pictured below with Björk), Scottish actress Tilda Swinton, and even English naturalist Sir David Attenborough. Björk is also known for utilizing her power and prestige to nurture and help other artists as a means to establish their own careers in the music industry. Some of Björk’s protégés over the years include the likes of Iranian electronica producer Leila Arab, Inuit throat singer Tanya Tagaq, Finnish multimedia artist HK119, Syrian musician Omar Souleyman, and English music composer Mica Levi. Björk has amassed an astonishing amount of nominations and awards since the beginning of her solo career. Among the most exalted of awards that she has received was the Polar Music Prize awarded by the Royal Swedish Academy of Music in 2010 (pictured below), which is considered by many in Sweden as the “Nobel Prize for Music”. She was also decorated as a Chevalier de l'Ordre National du Mérite (Knight of the National Order of Merit) by the French government in 2001 for her contributions and services to music. A major retrospective exhibition of Björk’s diverse career encompassing her music and visual work was held in the Museum of Modern Art in New York City during March to June 2015, which also coincided with the release of her most recent album entitled Vulnicura. She continues to explore future possibilities of her work via technology when she embarked on a traveling virtual reality exhibit titled Björk Digital which was launched on 2016 in Sydney, Australia.